Huawei has debuted every major (and recent) CPUs with the Mate series. Under Huawei’s HiSilicon branding, the Mate 8 debuted the Kirin 950, the Mate 9 debuted the Kirin 960, and we have no doubt the Huawei Mate 10 will debut the Kirin 970. A report from Taiwan claims that commercial production of the Kirin 970 has begun. In a previous post, we reported that the Kirin 970 might be produced by TSMC, the same Taiwanese-based chip manufacturer that pumped out the Kirin 960. However, that same report said that mass production of the Kirin 970 would begin in September. The Kirin 970 might keep its Cortex A73 CPU architecture (but could go with Cortex A75 cores) with its main improvement said to be focused on a more powerful GPU, said to feature 12 cores. HiSilicon aims to put the 970 right on par with the Samsung and Qualcomm’s top offerings: the Exynos 8895 and the Snapdragon 835. On that note, the Kirin 970 is also expected to be built using a 10nm process, like Samsung and Qualcomm’s chips. Huawei's Mate 9 debuted the HiSilicon Kirin 960. There’s also talk of the Kirin 970 becoming the first chip with artificial intelligence of some form. 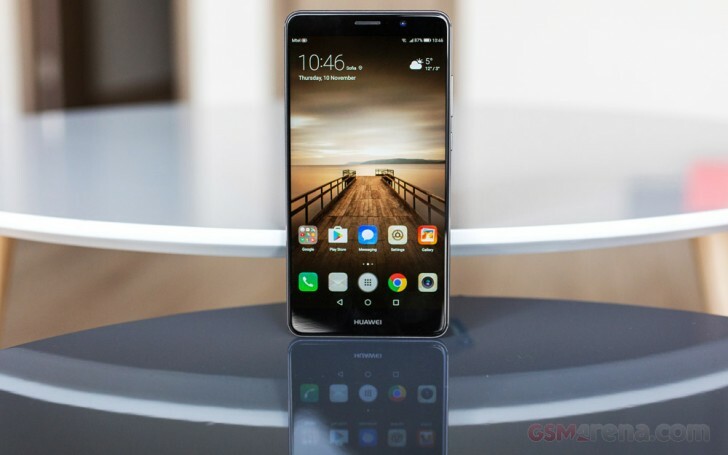 We’ve seen Huawei emphasize AI in other, more unobtrusive ways like with its machine-learning AI, which made up Huawei’s machine-learning algorithms for keeping EMUI running smooth and predictably. The Huawei Mate 10 is rumored to be announced sometime next month with a possible release in October. We’re also expecting the Mate 10 to have a 6-inch “Full Active Display” with a 2:1 aspect ratio, and 2160 x 1080p resolution.